Acrossair's New York Nearest Subway app uses augmented reality to overlay subway location information onto images viewed through your smartphone camera. Photo courtesy of Business Week. Do you want to be able to map your bike routes as you ride and share them with fellow riders? Impress your friends by locating the closest Zipcar on the spur of the moment? Find the nearest subway station in cities all over the world without puzzling over old-fashioned system maps? Read on to discover a few fun and useful transportation apps for your smartphone. CycleTracks, a tool developed by the San Francisco County Transportation Authority, uses your smartphone’s GPS support to record your bicycle trips, display maps of your rides, and help transportation planners make San Francisco a better place to bike. At the end of each trip, real-time data representing the trip purpose, route, and the date and time are sent to the Transportation Authority. Planners use the data to improve the bicycle-use component of their computer model and better predict where cyclists will ride and how land development and transportation infrastructure will affect cycling. Users get to see maps and statistics of their rides. Wikitude Drive also makes use of augmented reality to create a navigation system that overlays arrows and point-to-point directions on your screen. It works for pedestrians and motorists (just don’t get into an accident while using it!). Take a look at how it works. 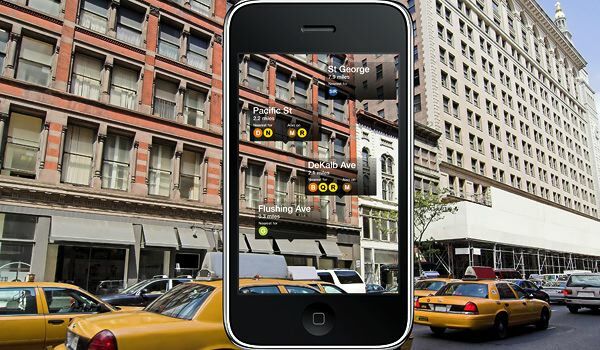 This app won the “Augmented Reality Oscar” in 2009. It’s probably happened to you: you’re at the store and realize you just bought more groceries than you can carry home. Or you need to meet a friend at the airport, are running late, and the bus you were planning on taking isn’t going to get you there in time. Use this Zipcar app to find the nearest vehicle. You can also search by size or type. Even if your plans are last minute, you can make or cancel reservations from your iPhone or iPod touch.